Senior ONS statistician Pete Lee has been helping to strengthen Zimbabwe’s economic data. It’s part of an international commitment to give policy makers in developing countries a sound evidence base for key decisions. 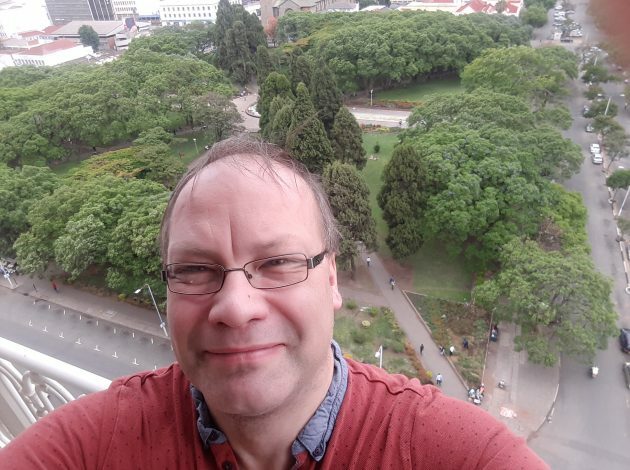 “You may have trouble believing this but when the chance came to swap the cold and drizzle of the British winter for a spell of tropical warmth working with some of our statistical counterparts in southern Africa I did not pause long to weigh up my options. My destination was Harare, capital of Zimbabwe and home of the national statistics agency ZIMSTAT. I was there to help develop the National Accounts and advise on data collection techniques – particularly better use of administrative data. It’s part of a wider commitment by ONS to pool knowledge and experience with international colleagues. This is definitely not a one-way process. Many of the issues faced by the producers of national statistics in different parts of the world – on issues like data sharing, confidentiality, increasing user demand and operational efficiency – are remarkably similar to those we face in the UK . But others – particularly the measurement of the large ‘informal’ sectors of some national economies – are very different. One thing that’s common to us all is a drive and a determination to continuously improve. The aim of our own strategy in the UK to produce “better statistics for better decisions” is widely shared around the world. ONS has provided several economic statistics experts including myself to deliver technical assistance under an IMF programme to strengthen economic statistics in Africa. The UK Department for International Development is investing in this work through this project in order to allow the design of better economic development policies, enhance the accountability of policies, improve the functioning of international capital markets and allow more robust analysis of economic growth. My first mission to Harare was in February 2016 when, joined by a colleague from the IMF, I spent nearly two weeks looking at available data sources and discussing with key stakeholders the best way of improving access to key data already held by other public bodies, particularly the tax information of the Zimbabwe Revenue Authority and the Reserve Bank of Zimbabwe – the central bank. We produced a detailed report with a number of recommendations aimed at enabling ZIMSTAT to produce better estimates of GDP. The ultimate aim of course is to policy makers better evidence on which to make key decisions of economic policy and government expenditure. As well as better use of administrative data, particularly company-level data from the various tax forms, we recommended increasing the capability of ZIMSTAT by expanding its national accounts team and also incorporating the results of its forthcoming Poverty, Income, Consumption and Expenditure survey’ (PICES), which will enable much better estimates of the informal sector of the economy. It’s easy to advise , of course, and much harder to actually make things happen. So in late November I was back in Zimbabwe assisting with the implementation of the first group of recommendations and assessing progress against all the others. There is a real will to share these data both on the part of ZIMSTAT and ZIMRA, but, as in all countries, there are familiar and understandable concerns over the confidentiality of identifiable company-level data. So an important part of my mission last month was to help address these concerns. Along with ZIMSTAT colleagues I met with senior officials at ZIMRA and the Ministry of Finance and Development Planning to try to find a way forward. As a result of these very productive meetings I assisted ZIMSTAT in drawing up an new Memorandum of Understanding with ZIMRA with strong data security clauses which we hope will enable data sharing to go ahead. Before long I hope to update this blog with the news that sharing has been agreed.